When the Republicans took over Congress in 1994 they were able to work with President Clinton and get Welfare reform passed which Clinton signed. However, since President Obama got in office he has been trying to stimulate the economy and he abandoned welfare reform. By Doug Mills, APPresident Ronald Reagan after delivering a speech on television in this 1987 photo. Editor’s note: This article was co-authored by Susan A. Carleson and Robert Knight. We knew things weren’t good, but nearly one seventh of all Americans on food stamps? Forty-three million people? That’s the news this week from the U.S. Department of Agriculture, which noted that only 30 million were on food stamps as recently as 2008. For Big Government fans, this news should trigger a high five. But wait – many of those high fivers are lamenting the “epidemic of obesity” among the poor. Remember, liberalism need not be consistent or effective; it just has to be caring. For the average American this food stamp spike should be a wake up call. It exposes two things: One, Obamanomics’ massive government spending is not improving the economy; and, two, poorly designed welfare programs create ever more dependency. Food stamps and other welfare programs were meant to be a safety net for people down on their luck, not a way of life passed from one generation to the next. Over the years, the federal government has grown exponentially. The notable exception occurred in 1996 with the passage of welfare reform, which marked the first and only repeal of a Great Society entitlement program, Aid to Families with Dependent Children. That reform, which reversed the incentives for states to increase their welfare rolls, was an unqualified success by every measure. Caseloads dropped by more than two-thirds – from a record 5 million families in 1994 to just 1.6 million families in 2009. Recipients left welfare in droves — most of them to work — and earnings rose as child poverty fell. But, following the 2008 election, liberals in Congress and the White House began to dismantle this historic achievement. In the first “stimulus bill” they undermined the 1996 reform, made it easier for states to increase their welfare caseloads without having to meet federal work requirements, and added a host of new welfare programs. These destructive policies must be reversed. Ronald Reagan was the first modern president to truly appreciate the wisdom of America’s founders about the virtues of limited government. He understood the dynamics of spending and the inherent danger of overburdening taxpayers and free markets. In the early 1970s, when California was headed toward bankruptcy because of its profligate welfare spending, then-Gov. Reagan tapped Robert B. Carleson to design and implement a plan to salvage the state’s budget. And it worked. Welfare rolls plummeted and the state’s most needy received a long-delayed benefit increase. It was a true American success story. The ultimate triumph of these efforts was the historic welfare reform of 1996, which freed millions of Americans from the narcotic of dependency. While Bill Clinton deserves credit for ultimately signing this landmark legislation, it was in fact the product of 30 years of Ronald Reagan’s dream and Bob Carleson’s tenacity. 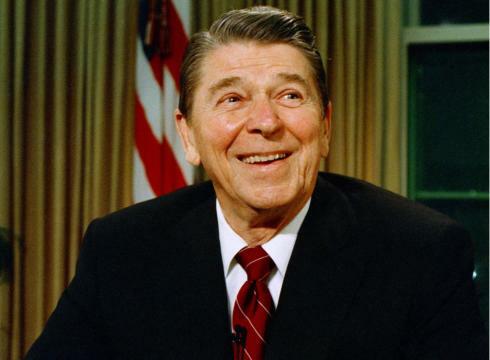 Ronald Reagan was a man of strong beliefs, and he surrounded himself with policy experts who understood big bureaucracy and who knew how to roll back its overreach through common sense approaches. Sadly, people with those attitudes and know-how have not been in positions of power for many years. And the country has drifted, some would say lurched, leftward in its acceptance of big government. But as we all saw last November, complacency reached its limit. Americans now hunger for a return to sensible policies that instill individual responsibility, reduce government and taxes, increase prosperity and create real – not make-work – jobs. 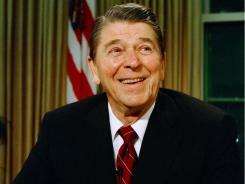 A new organization, the Carleson Center for Public Policy (CCPP), has been formed to assist this effort by serving as a proxy for “What Reagan would do.” Comprised exclusively of men and women who served under Ronald Reagan and who understand what works, the Center (www.theccpp.org) will offer public policy officials guidance and advice on welfare and entitlement reform. For a detailed look at the 25-year fight that truly reformed welfare, see Bob Carleson’s book Government Is the Problem: Memoirs of Ronald Reagan’s Welfare Reformer (American Civil Rights Union, 2010) www.governmentistheproblem.us. This is America. We can do better than offer our children more and more food stamps. Robert Knight is an author, columnist and frequent contributor to Townhall. Is the EPA out to help you? Take a look at this article from the Wall Street Journal. Ms. Jackson’s agency takes over automobile design. re’s one good way to consider the vote in 2012: It’s about whether to re-elect President Lisa Jackson, the head of the Environmental Protection Agency, which these days runs most the U.S. economy. The EPA heaved its weight against another industry this month, issuing a regulation to sharply increase fuel economy. Under this new rule, America’s fleet of passenger cars and light trucks will have to meet an average of 54.5 miles per gallon by 2025, a doubling of today’s average of about 27 mpg. By the EPA’s estimate the rule will cost $157 billion, meaning the real number is vastly greater. The fuel-economy rule is classic Obama EPA. Until this Administration, fuel standards were the remit of Congress, via its Corporate Average Fuel Economy (CAFE) program. In 2007, the legislative branch raised those standards with a bill requiring the U.S. fleet to hit 35 miles per gallon by 2020, a 40% increase. The industry is struggling to keep pace with those steep requirements. President Jackson is now casting aside 35 years of Congressional prerogative. 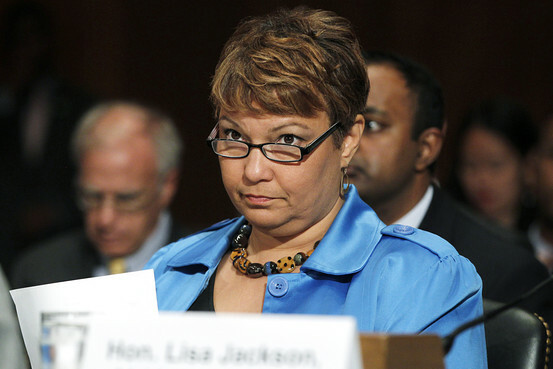 Because the Obama EPA has declared carbon dioxide a “pollutant,” and because cars emit CO2, Ms. Jackson is citing the Clean Air Act in her bid to commandeer Detroit. While the EPA officially worked with the National Highway Traffic Safety Administration (Nhtsa, the agency previously in charge of efficiency standards), it’s clear the EPA is calling the shots. At least when Nhtsa was overseeing efficiency, it was charged by Congress with taking into account vehicle safety and a rule’s effect on the economy and consumer demand. The EPA can’t be bothered with such detail. The National Automobile Dealers Association, which has opposed the EPA rule, has compiled Obama Administration documents showing the average price of a new vehicle will increase by $3,100 by 2025, thanks to the cumulative fuel-efficiency rules. Vehicles that currently cost $15,000 or less will effectively be regulated out of existence. The rule will reduce the mass of a car by 15% to 25%, decreasing safety. The only way Detroit can hit these averages will be by turning at least 25% of its fleet into hybrids. But hybrid sales peaked in the U.S. two years ago at 3% of the market and are declining. The EPA’s $157 billion price tag includes only the estimate of what manufacturers will have to invest in new technology, not the billions more that will hemorrhage when nobody buys their EPA-approved products. Yes, 13 automakers agreed to this standard in July, confirming behavioral science on hostages. The industry has been living for years under the threat of California’s strict efficiency mandate. Federal law pre-empts states from setting their own standards, and the Bush Administration refused to grant California a waiver. But the Obama administration made clear to automakers that their choice was between one crushing EPA-devised rule, or a national patchwork of crushing rules from California and acolyte states. They chose the federal poison. House Republicans are pushing to return efficiency standards to the one regulator Congress has decreed: Nhtsa. They note that not only are California bureaucrats dictating federal policy, but the EPA has wasted $25 million to duplicate or demolish Nhtsa rules. The EPA is seeking to impose, by fiat, greenhouse gas reductions that even a Democratic Congress rejected with the Waxman-Markey bill in 2009, and that would drive policy at least 13 years past this Administration. It’s all more than a tad authoritarian. Welcome to the Obama-Jackson Presidency. This is an archived article. It originally appeared on March 1, 1993. Some information may be outdated. Boris: What if there is no God?…What if we’re just a bunch of absurd people who are running around with no rhyme or reason?Sonia: But if there is no God, then life has no meaning. Why go on living? Why not just commit suicide? Allen, “Selections From the Allen Notebook,” Without Feathers,p. 8. The President is responsible for submitting an annual budget to Congress and has the authority to veto legislation, including irresponsible spending. Most Administrations have run small but manageable deficits, but President Obama’s unprecedented budget deficits pose serious economic risks. Source: White House Office of Management and Budget. Federal Budget Deficits Will Reach Levels Never Seen Before in the U.S.
Last week, 5,000 files of private email correspondence among several of the world’s top climate scientists were anonymously leaked onto the Internet. Like the first “climategate” leak of 2009, the latest release shows top scientists in the field fudging data, conspiring to bully and silence opponents, and displaying far less certainty about the reliability of anthropogenic global warming theory in private than they ever admit in public. Yesterday at the Little Rock Touchdown Club meeting Rex Nelson during his SEC roundup mentioned the popular rumor that got started last week that Houston Nutt had been contacted by Memphis. Of course, at the time Larry Porter had not even been fired. I called someone I knew in Memphis and they told me that there was no word that the administration was withdrawing their support from Porter. I concluded the rumor was false. Then on Sunday Larry Porter was dismissed. 1. It is too soon to give up on Coach Porter. One of the most important reasons not to hire Coach Nutt if you are Memphis is because Coach Porter is still in the process of building a program. While the Tigers have struggled in Porter’s two year tenure, they are showing signs of improvement. Memphis has a lot of underclassmen contributing on this year’s team, and this year’s experience under Coach Porter’s guidance will prove invaluable and help the program out in the long run. He still has not gotten the depth necessary yet to compete at a top level, but he is only a few recruits away from making Memphis a threat. 2. Despite Coach Nutt’s success his conference record is not good. Coach Nutt has an impressive resume, but he only has a 52-58 conference record spanning the last fourteen seasons with Arkansas and Ole Miss. Since he has been at Ole Miss his conference record is a pathetic 10-20. It certainly seems like teams that are familiar with Coach Nutt’s system have success against him, a fact that should concern every Tiger fan that wants Coach Nutt. 3. Houston Nutt may use Memphis as a stepping stone to get back to a major program. Should Memphis hire Coach Nutt there is a possibility that Coach Nutt will leave as soon as a vacancy at a bigger program becomes available. He did it to Boise State in 1997 when he left the Broncos after only one season to go coach Arkansas. If you are curious about the damage a coach who leaves after one year can cause, look across the state to a Tennessee team that is still trying to rebuild after Lane Kiffin left to coach USC. Add to this issue the fact that the Tiger’s have recently been spurned by a certain basketball coach who left because of the money and prestige of another program and you have a leadership group who wants to make sure that does not happen again. 4. Coach Nutt is too expensive. Houston Nutt is making almost 2.5 million dollars this season, while Larry Porter is only making about $316,500. When you compare their salaries, Houston Nutt is making almost eight times as much as Coach Porter, and thanks to Coach Nutt’s buyout clause Ole Miss has to pay him six million dollars next year to not coach. There is no way Memphis can afford to keep Nutt satisfied financially when bigger programs are always lurking and can shell out millions of dollars at a time for a coach. 5. Coach Porter is a better recruiter than Houston Nutt. Let me remind everyone that Coach Porter is the 2007 and 2009 Rivals.com National Recruiter of the Year and he is bringing in talented players. Coach Porter only has one full recruiting class under his belt and he is getting talented players to commit to Memphis. On the other hand, Coach Nutt won early on at Ole Miss with Ed Orgeron’s players, but failed to bring in the talent necessary to continue to have success at Ole Miss. 1. Hiring Coach Nutt will bring some energy and enthusiasm to a dwindling fan base. There is no doubt that the hiring of Coach Nutt will create a buzz that will permeate throughout the city. Season ticket sales will increase, people will begin to take Memphis football more seriously, and Tiger fans will have a reason to be excited about their football program. It will also change the fans perspective of the Memphis football program, because right now the perception of most fans is that Memphis does not care about its football program. Hiring Houston Nutt will show that Memphis is willing to pay top dollar for an elite coach. 2. Coach Nutt has an impressive resume. Coach Nutt has a notable resume that includes 19 years of head coaching experience; fourteen of those years are in the SEC, which is one of the best conferences in the nation. He has three SEC West titles and he is a three time SEC Coach of the Year. Also, Houston Nutt’s overall record as a head coach at the FBS level is 104-77 and he has four bowl wins too. 3. Hiring Coach Nutt will make Memphis more appealing to major conferences. With conference realignment taking place Memphis needs to do everything it can to make itself more appealing to major conferences. Hiring Coach Nutt will show the nation that Memphis is committed to their football program and willing to pay top dollar for an elite coach. Houston Nutt has extensive experience coaching in a major football conference, and he will add instant credibility to a program that is desperate for a spot in an AQ conference. 4. Houston Nutt is undefeated against C-USA teams since becoming a head coach at the FBS level. Since becoming a head FBS coach in 1996 Houston Nutt has dominated C-USA teams. He is an impressive 7-0 against Conference USA foes, and Memphis needs somebody who will get them wins inside their conference. The last time Memphis had a winning record in conference was in 2008 when the Tigers went 4-4 in conference play. In fact, Memphis is a staggering 2-19 in conference since 2009, and the Tigers are in desperate need of somebody who can led them to more conference victories. With his undefeated record against C-USA opponents Houston Nutt can bring a swagger to the Memphis program and make them belive that they can win games against conference foes. 5. If you cannot bet him, join him. Memphis knows first hand how good a football coach Houston Nutt is after taking some severe beatings from him in the past. No Memphis football team has ever defeated Coach Nutt since he became head coach of Arkansas or while he was at Ole Miss. Houston Nutt’s Rebel teams have all but eradicated the once intense rivalry between Memphis and Ole Miss. In the two contests since Houston Nutt became the Rebel’s head coach he has beaten Memphis by a combined score of 86-38. CJ Hurt covers college football for MemphiSport. Follow him @churtj09 for live tweets from games. Photos by JD Meredith and Joe Murphy. I enjoyed the Little Rock Touchdown Club and have posted a lot about it all fall. I have links below to earlier posts. Yesterday Wally Hall and Steve Sullivan had some good insights. Below are some of the thoughts of Jim Harris that he shared at the lunch. BUILDING THE DEFENSE: How nice it would be if the state of Arkansas produced a handful of Parade All-American high school defensive stars or Rivals 4- and 5-star prospects like the states of Alabama and Louisiana have developed. Both Alabama and LSU have built their superb defenses mostly with homegrown talent. And, Donta Hightower’s case at ‘Bama, his Tennessee hometown is between Nashville and Birmingham and within an easy drive of Tuscaloosa. Draw a circle with a 200-mile radius from Fayetteville, and do the same with Tuscaloosa and Baton Rouge. Then note where many of the top high school players in the country have been produced the past five years; you’d see the disadvantage Arkansas faces in recruiting. Within the state, Arkansas has produced just a handful of defensive players, period, in the past six years. Petrino’s job in building a defense to match his prolific offense isn’t the same as what Les Miles and Nick Saban face. Petrino has to employ a much wider net and, if he wants a defense as dominant as LSU’s, somehow convince a half-dozen stars from other states to snub their home university and play for Arkansas instead. To be fair, LSU under Miles has extended its reach for defensive talent from east Texas to the mid-Atlantic (Sam Montgomery, for example, was one of the top prep players in South Carolina in 2009). Arkansas’ been lucky in its past if the Hogs pulled in a couple of those playmakers occasionally. Usually, the source of that talent was Texas. It’s no accident that Oklahoma State is ranked No. 3 in this week’s BCS poll, as much time as the Cowboys have spent recruiting Texas for 75 percent of their roster. It didn’t just start with current coach Mike Gundy. Les Miles got things rolling in his time in Stillwater before landing the LSU job. The guy can recruit. He’ll also eat grass, and he’ll make indecipherable declarations and surprise fans with out-of-the-norm calls. But he won’t point across the field at Nick Saban or Bobby Petrino or any other coach and curse him, fully aware that the TV camera is on him. He also wasn’t running the score up on Arkansas early in the fourth quarter when LSU was throwing the football. Arkansas was still using run blitzes to futilely stop the LSU rushing game. We’re certain if Petrino and Arkansas had played it vanilla in the fourth quarter, Miles would have done the same. In the sermon at Fellowship Bible Church at July 24, 2011, teaching pastor Brandon Barnard made a great point about the two choices that you have. You can walk down the pathway of purity or impurity. The pathway of impurity is both persuasive and inviting. Roby Brock’s Talk Business has a good report on Republican Rep. Davy Carter’s plan, as chair of the House Revenue and Tax Committee, to hold hearings next year on income tax reform in Arkansas. Unlike many others in his party, Carter understands sensible reform isn’t all about cutting. He’d like to reshape income tax brackets in a “revenue neutral” way. That can’t be done through income tax brackets alone, as a practical political matter. It would mean a new higher bracket for the wealthy or dramatic shifting of the overall income tax burden to higher income people. That’s not what Carter has in mind, however. TAX REFORM TALK: From Rep. Davy Carter. I am glad that Davy Carter is a conservative and will not consider raising the highest tax rate in Arkansas above 7%. That is crazy for several reasons but I will mention one of the most harmful. In 1970 when Dale Bumpers raised the top income tax rate in Arkansas to 7% it did not affect many people but as time has gone by now many are having to pay that top rate. That will happen again if the liberals are allowed to raise the top rate. It is a bait and switch operation. They promised in 1970 that not many would have to pay the 7% but that is not the case now!!!! If you start ranking the great governors of Arkansas, you talk about Win Rockefeller on seminal reform and on brave advancements in race relations. You talk about Dale Bumpers on raising income taxes and reorganizing government and advancing free textbooks and child immunizations and two-year community colleges. Mike Huckabee recently moved to Florida? Why? The answer is easy. Huckabee wants to avoid Arkansas’ high state income tax. Max Brantley of the Arkansas Times wants to call Huckabee a tax fugitive, but who can blame him. Liberals like Brantley and Ernie Dumas want to praise former Arkansas governor Dale Bumpers for raising the state income tax to 7%, but that is the reason our state has the highest state income tax in the area (all bordering states have either lower state income taxes or no state income tax). Is it any surprise that during the last census that the seven states that do not have an income tax grew in population?Arkansas has suffered from bracket creep and in 1929 you had to make 5 times the average wage to pay any state income tax at all, but now over 66% of tax payers in Arkansas pay at least some of their income at the 7% level. Until Gov. Dale Bumpers raised income-tax rates and other taxes in 1971, Arkansas had by far the lowest per-capita state and local taxes in the United States. Afterward, we were still 50th but within shouting distance of 49th. (June 2006) Democratic Gov. Dale Bumpers and the General Assembly raised Arkansas’ top income tax rate to “broaden the tax base” in 1971(1). Yet Arkansas’ per capita income, expressed as a percentage of the U.S. total, has barely improved, moving from 71 (1971) to 77.7 percent (2005) over the 34-year period, according to data from the U.S. Bureau of Economic Analysis. The 1971 income tax increase reversed a decades-long strong growth trend and left Arkansas with the highest income tax rate among bordering states (Mississippi, Missouri, Louisiana, Oklahoma, Tennessee and Texas). One has to turn to the 1930s-the decade of the Great Depression-to find weaker income growth than in recent years. Arkansas per capita personal income was 44 percent of the U.S. in 1929, the first year data was compiled in the BEA time series. The Great Depression started that year, and by the time it ended in 1933 Arkansas per capita income had fallen to 41 percent of the U.S. By decade’s end (1939) it had returned to 44 percent. Arkansas per capita income increased as a percentage of the U.S. in the next three decades. In 1941, at the onset of World War II, Arkansas per capita income was 47 percent of the U.S. It was 59 percent at war’s end in 1945 and again in 1949. It was 56 percent in 1950, 62 percent a decade later in 1960, and 68 percent in 1969. If this growth rate had continued Arkansas would have exceeded 100 percent of the U.S. average in the current decade (2000-2009). To summarize, Arkansas per capita income increased from 44 to 71 percent of the U.S. total between 1939 and 1971. The trend in recent decades is anemic growth in Arkansas per capita personal income. Fiscal policy changes affect economic behavior with a time lag. Arkansas per capita income was 71 percent of the U.S. in 1971 and 76 percent in 1973. Income growth stagnated for the rest of the decade, reaching 77 percent of the U.S. in 1979. It fell to 75 percent in 1989, and was 76 percent in 1999. Today, Arkansas per capita income, at 77.7 percent of the U.S., is barely above its high point of the 1970s. Since its introduction in 1929, Arkansas‘ statutory income tax structure has changed very little. However, due to changes in the economy and in inflation, the real effects of that tax structure have changed substantially. This report looks at the effects that rising incomes and inflation have had on the Arkansas income tax structure. In addition, the report looks at the changing profile of Arkansas taxpayers in recent years, and provides a brief comparison ofArkansas taxes in relation to other states and the federal tax system. In 1929 Arkansas became 12th among the states to adopt an individual income tax. The structure contained five rates and net income brackets with a top rate of five percent applying to net income over $25,000. That original structure remained in place until 1971 when a new middle-income bracket was added and the rate on net income over $25,000 was increased to 7.0 percent. The rates and brackets revised in 1971 remain in place today. The 1929 original and the revised current tax structure are shown in Table 1. Source: Arkansas Legislative Tax Handbook, 1992, Bureau of Legislative Research. In 1975, the earliest year for which records on income tax collections by income group is available, only the top 4.0 percent of Arkansas taxpayers would have had any of their income subjected to the top 7.0 percent rate. By 1991, around 66.0 percent of the state’s taxpayers would have had some of their income subjected to this top rate–a rate once reserved for only the highest income earners. The 1929 tax structure provided for exemptions of $1,500 for a single person and $2,500 for married individuals. In 1947 the state raised the exemption to $2,500 for singles and $3,500 for married persons. In 1957 the personal exemption was converted to a credit of $17.50 for singles and $35.00 for married persons. In 1987 the credits were increased to $20 per person. Finally, in 1991, low income Arkansans were exempted from paying income tax if their gross income did not exceed $5,500 for an individual or $10,000 for a married couple. For most taxpayers, the $20.00 credit remains in effect today. Table 2 shows how the value of the personal tax exemption or credit has diminished over time. The figures shown represent the personal exemption or credit for a single individual as a ratio of the per capita personal income in the year in which the credit was first enacted. In 1929, for instance, an individual would have been exempted from any tax until their income reached a level which was equal to 490 percent of the Arkansas per capita income for that year. In 1947 with the first statutory change in the exemption, that individual would have still been exempted up to an amount equal to 340 percent of the per capita income level. By 1957 the value of the exemption (which was changed to a tax credit that year) had declined substantially, falling to 130 percent of per capita income. At the time of the next change in the personal credit (1987), the value of that credit was only 17 percent of the per capitaincome level. For most taxpayers (all those not officially classified as low income) in 1992, the value of the personal credit was only 13 percent of per capita income. Source: Arkansas Legislative Tax Handbook, 1992, Bureau of Legislative Research; Per capita personal income data is from the Bureau of Economic Analysis, unpublished data, April, 1993. In other words, whereas in the first year of enactment of the income tax, the personal exemption would have allowed an Arkansan to earn almost five times the average per capita income before paying any tax. 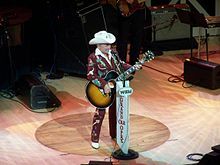 James Cecil Dickens (born December 19, 1920), better known as Little Jimmy Dickens, is an American country music singer famous for his humorous novelty songs, his small size, 4’11” (150 cm), and his rhinestone-studded outfits. He has been a member of the Grand Ole Opry for 60 years and is a member of the Country Music Hall of Fame. In 1948, Dickens was heard performing on a radio station in Saginaw, Michigan by Roy Acuff, who introduced him to Art Satherly at Columbia Records and officials from the Grand Ole Opry. Dickens signed with Columbia in September and joined the Opry in August. Around this time he began using the nickname, Little Jimmy Dickens, inspired by his short stature. In 1950 he formed the Country Boys with musicians Jabbo Arrington, Grady Martin, Bob Moore and Thumbs Carllile and. It was during this time that he discovered future Hall of Famer Marty Robbins at a Phoenix, Arizona television station while on tour with Grand Ole Opry road show. In 1957, Dickens left the Grand Ole Opry to tour with the Philip Morris Country Music Show. In 1962 Dickens released “The Violet and the Rose,” his first top ten single in 12 years. During 1964 he became the first country artist to circle the globe while on tour, and also made numerous TV appearances including The Tonight Show with Johnny Carson. In 1965 he released his biggest hit, “May the Bird of Paradise Fly Up Your Nose,” reaching number one on the country chart and number fifteen on the pop chart. In the late 1960s he left Columbia for Decca Records, before moving again to United Artists in 1971. That same year he married his wife, Mona, and in 1975 he returned to the Grand Ole Opry. In 1983 Dickens was inducted into the Country Music Hall of Fame. He joined producers Randall Franks and Alan Autry for the In the Heat of the Night cast CD “Christmas Time’s A Comin’” performing “Jingle Bells” with the cast on the CD released on Sonlite and MGM/UA for one of the most popular Christmas releases of 1991 and 1992 with Southern retailers. Recently, Dickens has made appearances in a number of music videos by fellow country musician and West Virginia native Brad Paisley. He has also been featured on several of Paisley’s albums in bonus comedy tracks along with other Opry mainstays such as George Jones and Bill Anderson. They are collectively referred to as the Kung-Pao Buckaroos. With the passing of Hank Locklin in March 2009, Dickens became the oldest living member of the Grand Ole Opry at the age of 90. He still makes regular appearances as a host at the Opry, often with the self-deprecating joke that he is also known as “Willie Nelson after taxes.” At the 2011 CMA Awards, Jimmy was dressed up as Justin Bieber, and made fun of Bieber’s recent paternity scandal. Conway Twitty (Left), Little Jimmy Dickens (Center) and Sammi Smith clown around while performing at the Mid-South Coliseum on November 2, 1968. Ms Smith is a member of the Waylon Jennings group.